… but to be honest, I’m not entirely convinced. You see, Clinique have released (as of last week) a new line of nail polishes with an impressive marketing angle. 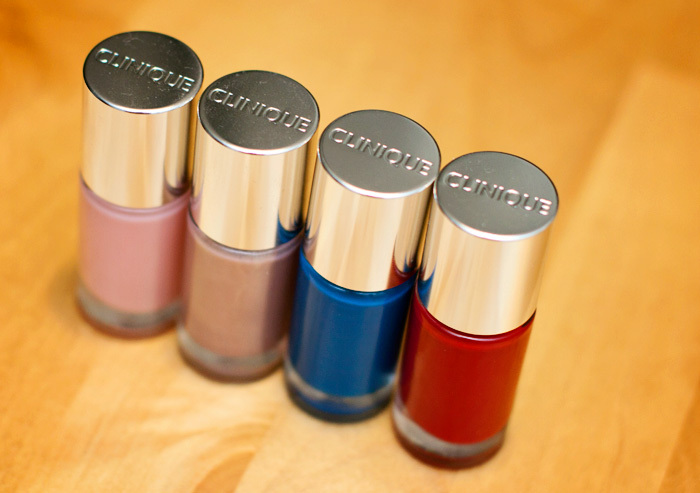 Clinique conducted extensive research to ensure that A Different Nail Enamel for Sensitive Skins meets Clinique’s standards of utmost quality. In fact, three years of research and three years of product development stand behind A Different Nail Enamel for Senstive Skins. The final revolutionary formula was tested for one month on women with sensitive skin and sensitive eyes. Allergy tested and safe to use for sensitive skins, helps reduce the chances that eyes will burn, itch or water with contact. We already have this. It’s called Big Three Free and has been a “revolutionary thing” since 2007. 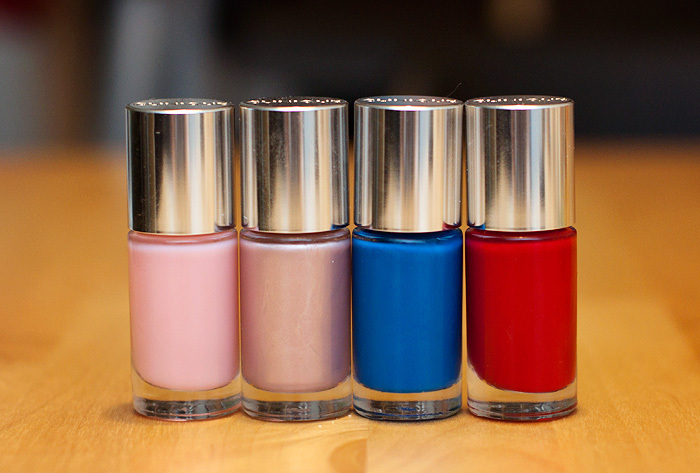 If you’re unaware, Big Three Free nail brands (including Butter London, Zoya, SpaRitual, Barry M and many more) offer nail polish formulations that are free of: dibutyl phthalate, toluene and formaldehyde/formaldehyde resin and they have done for many years now. So what? Well, it’s this last ingredient (formaldehyde resin) in particular that causes most of the dermatological problems for those of us with sensitive skin, particularly around the eye area where (according to Clinique’s research) we touch, on average, 200 times a day. So, the reason I’m so unconvinced by the “revolutionary” aspect of Clinique’s new release is simple. There is no mention, either in the two-page press release, or on the website… exactly what has been removed from or added to a traditional Big Three Free nail polish formula to further reduce the risk of skin irritations. If you’re selling your product on the basis of it being a “pioneering innovation” (their words), that’s kind of a big deal, congratulations… but as a consumer, I want to know exactly what’s in it (or lacking from it!) that makes it so Different, and I want this information readily available at the point of purchase. I’ll enquire and if/when I hear more, I’ll be back to tell you about it. Having said that, the polishes – taken solely on the merits of painting your nails – are quite, quite lovely. The shades I received went on smoothly with a nicely cut, flat(ish) brush and didn’t give me any application issues. I’ve included swatches of the four shades below for your reference. UPDATE 07/05/2013: Clinique have released a statement in response to my concerns and a full ingredient list, click here to read the update. Hmm. I would be keen to know meself. I have a dear friend whose fingers start to itch and swell within a day or so of applying most nail polishes – including Butter London and Zoya. But curiously, not No7. So I’d love to know what’s in or not in these for her. And on another note, Fizzy is such a totally granny shade, I really want it. Hahaha. Yeah. I was like… Ummm, and this is new… how? There are some brands now that are “5 Free” ..dunno what the other two ingredients they’re free from are, but they’ve kinda only recently emerged, so maybe it’s that? Well, the 5 free refers to camphor (mostly) and formaldehyde resin (as opposed to just formaldehyde) but many 3 free brands had already gotten rid of the resin under that 3 free umbrella. And yes, 5-free has been around for a couple of years now too… but I think most people are more familiar with the 3-free moniker. Even ‘Big Three Free’ polishes cause reactions for some people – myself included, so I’d still be curious about these. However, months on end of eczema riddled fingers aren’t worth testing them!